After strolling around the Lake, we opted for Thai food for dinner. The food were spicy & so tasty. 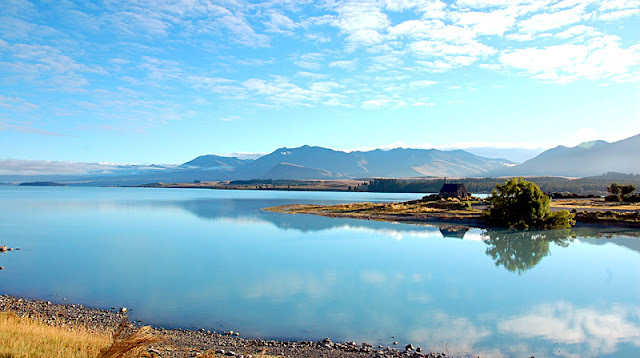 We also enjoyed the view of Lake Tekapo from this restaurant. Finally, a bright blue sky!